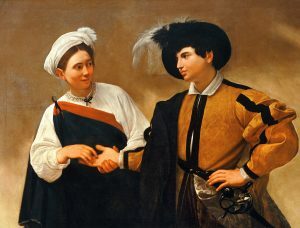 Rome guided tours – CARAVAGGIO AND BAROQUE ROME Michelangelo Merisi da Caravaggio (1571-1610) is considered one of the greatest painters of all time. Much of his work has been made and is located in Rome. On our tour we will walk the streets and squares that saw him star in one of the most fruitful periods of Italian art, the Baroque. We will pass next to two of his Roman houses, Palazzo Madama, seat of the Senate and Giustiniani Palace, which now houses offices of the Senate and we will enter in Piazza Navona, the place of his arrest on charges of murder where we even describe works of other famous artists of the seventeenth century as Bernini and Borromini. 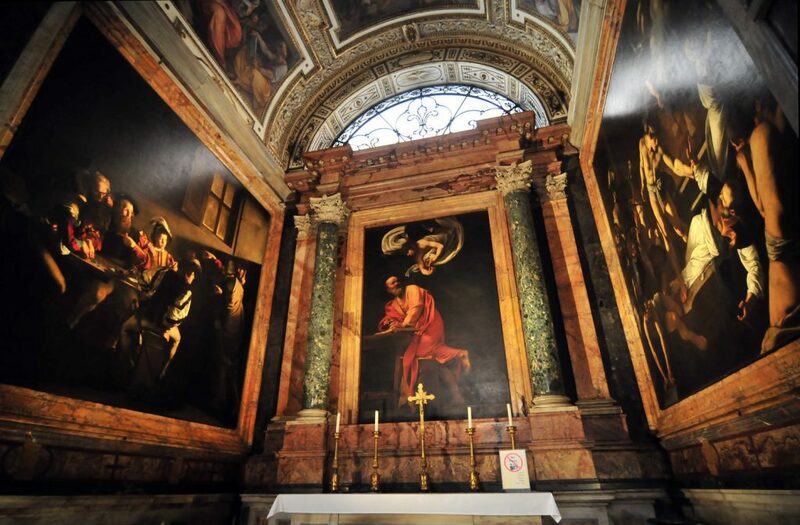 Rome guided tours – But the most exciting Caravaggio, with the magnificence of his pictorial luminosity is what will meet in his works preserved in some churches of Rome such as St. Augustine, St. Louis of France and Santa Maria del Popolo. Admire masterpieces in these rich Christian temples, the overwhelming beauty of Contarelli Chapel with stories from the life of St. Matthew in St. Louis of France; the poetry of the Madonna of the Pilgrims in St. Augustine and the drama of the Cerasi Chapel of the Crucifixion of St. Peter and the Conversion of St. Paul in Santa Maria del Popolo. These splendid churches also host other Roman Baroque masterworks along with remarkable pieces of previous eras. Discovering the places of Caravaggio in Rome, you will walk in some of the most famous areas in the world for artistic and historical density. At 09.00 a.m. or at 15,30 p.m.
Rates per person include the above walking/driven tour plus air-conditioned Limousine, minivan or other means of transport, personal tour guide, driver, tax..
Over 7 people rates are personalized.